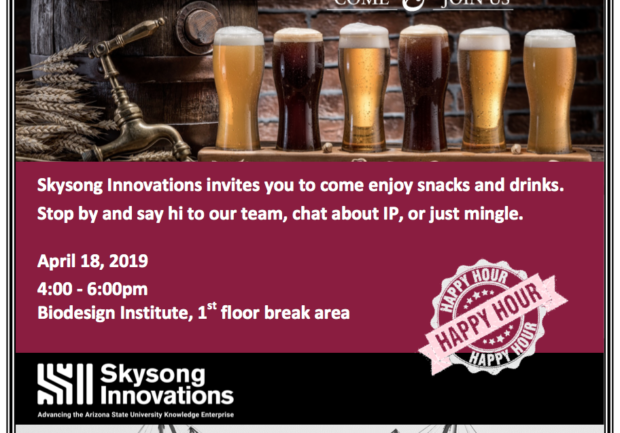 ASU faculty, postdoctoral research associates and graduate students are invited to mingle and get answers to your questions about intellectual property at the Skysong Innovations Biodesign Happy Hour on Thursday, April 18, 2019! 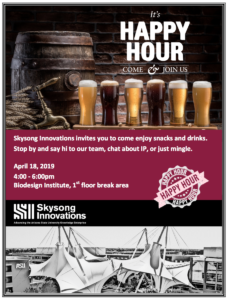 Skysong Innovations invites you to come enjoy snacks and drinks. Say hi to the team, chat about IP or just mingle!